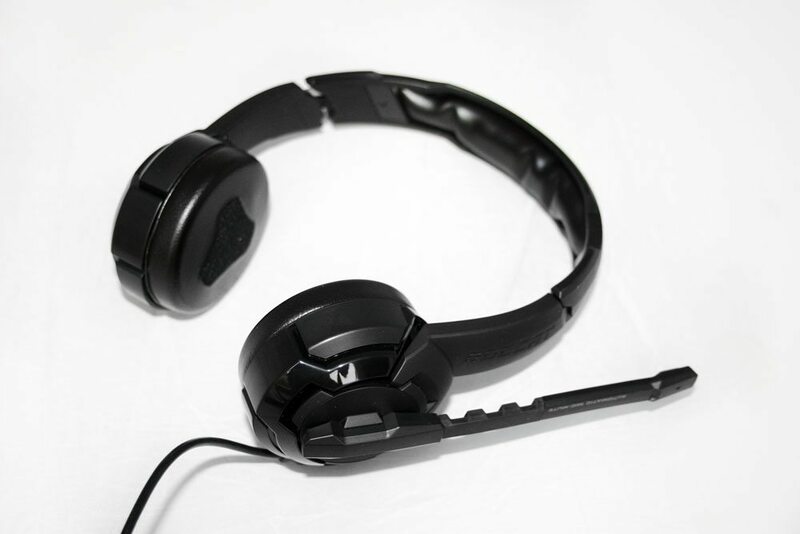 The headset itself is a pretty nice looking piece of kit. It’s mostly mat black all over with a plastic shell for the best part of the casing. However, it feels robustly built and there are no sharp edges where you might night yourself. There’s Roccat styling around the headband and on the earphones themselves. Each side piece is extendable by a few inches for those of us with above average head sizes. 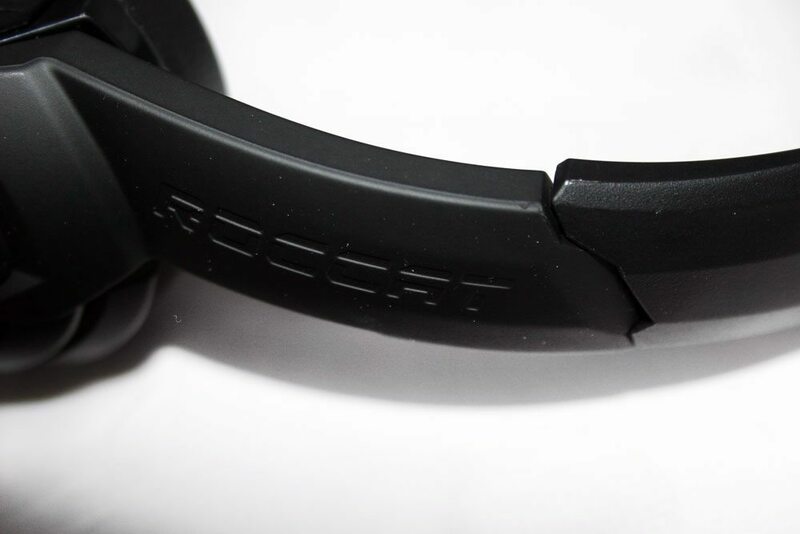 The centre portion of the headband is reinforced with aluminium meaning the Kulo retains its shape. 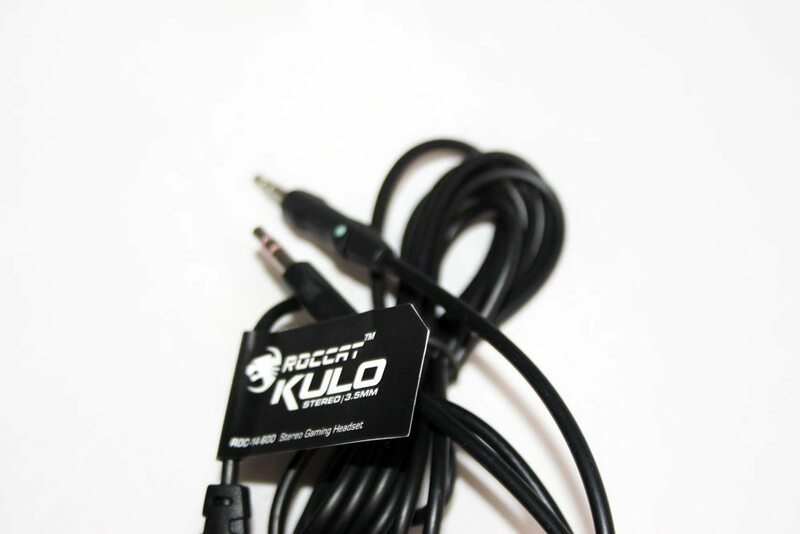 This helps protect internal wiring and the structure itself, meaning you shouldn’t end up with a headset that falls apart after a few months. 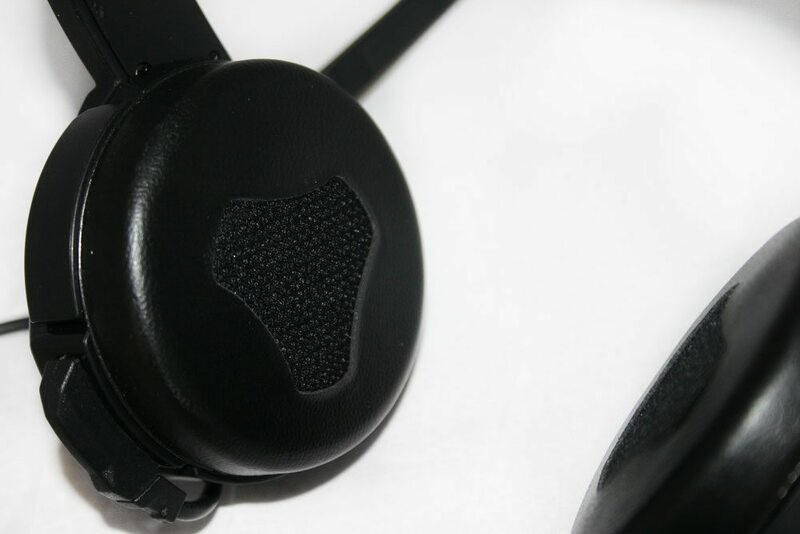 The earphone portion looks a little different than most headsets we’ve reviewed, as it runs with a twin material system. 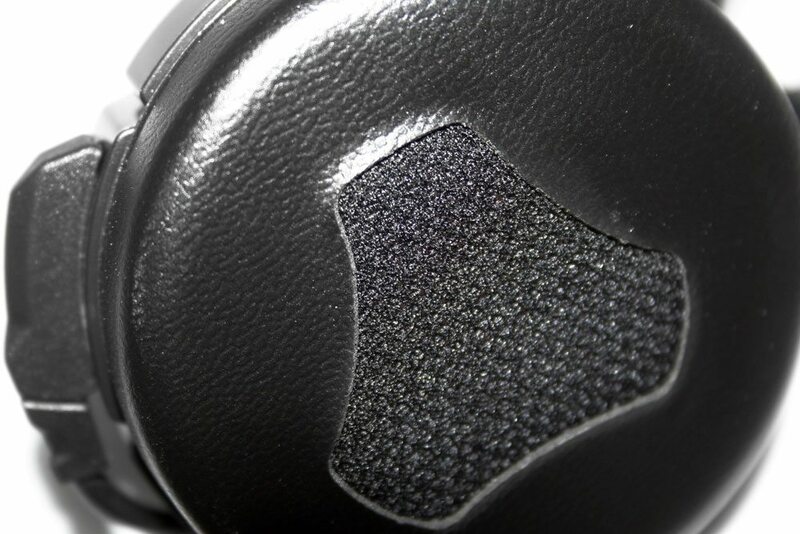 The edges are made up of a faux leather whereas the centre is traditional foam. These ‘phones are designed to sit on your ears as opposed to enclosing them, this usually results in less noise cancellation, but we’ll see. 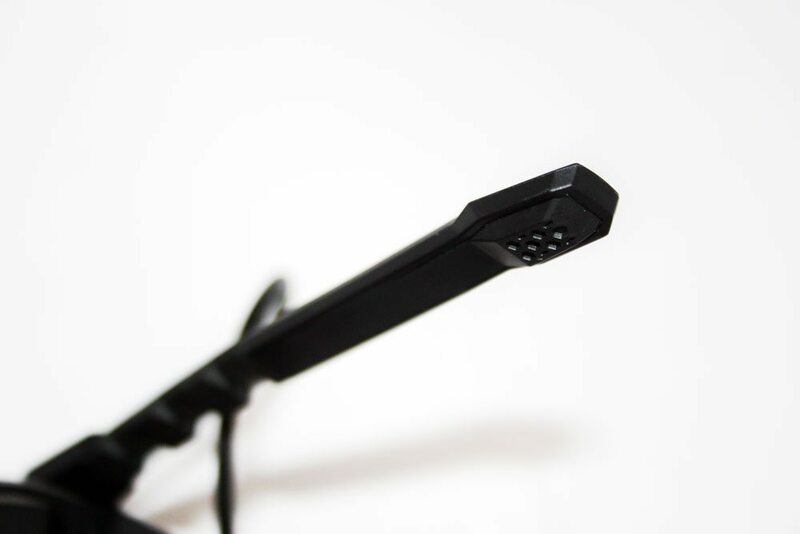 The mic is on a flexible, but non-adjustable, plastic arm that sits a few inches away from your face. It also folds up to the side of your head and has an “auto mute” feature. 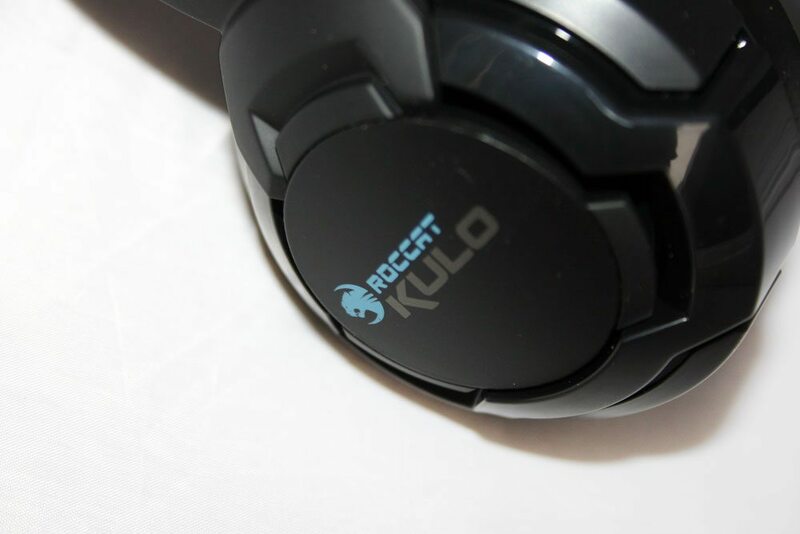 Each headphone’s exterior shows the traditional ice blue Roccat logo as well as some Kulo text. 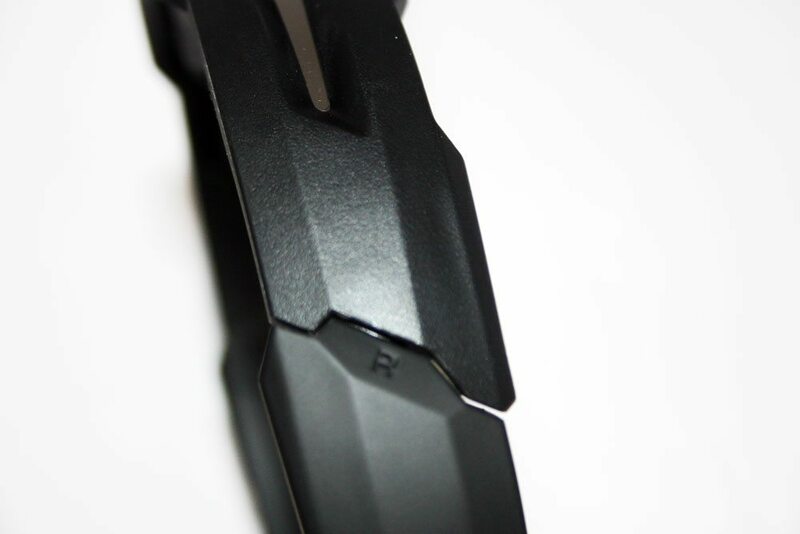 Each side also features a small R or L to denote which way around the headset goes. 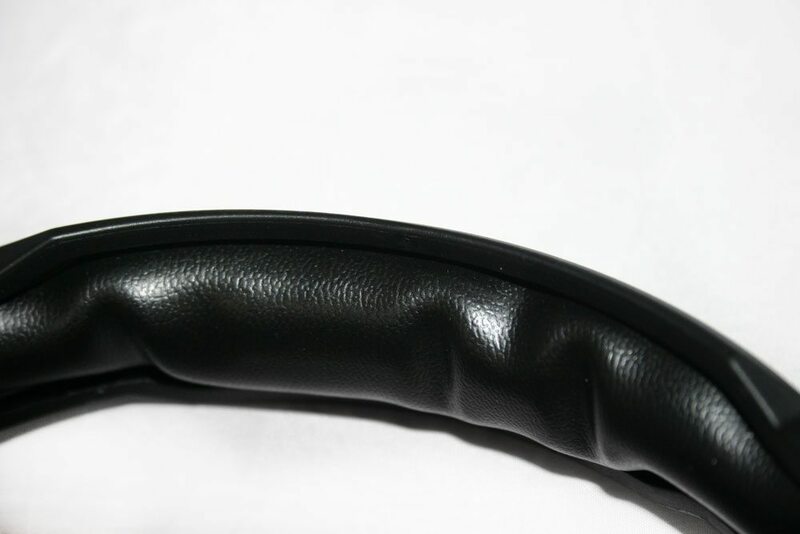 The headband has some more faux leather, but its very cushiony and should prove to be very comfortable. As far as cabling goes it’s twin 3.5mm connetors: one mic one line out. No USB power. 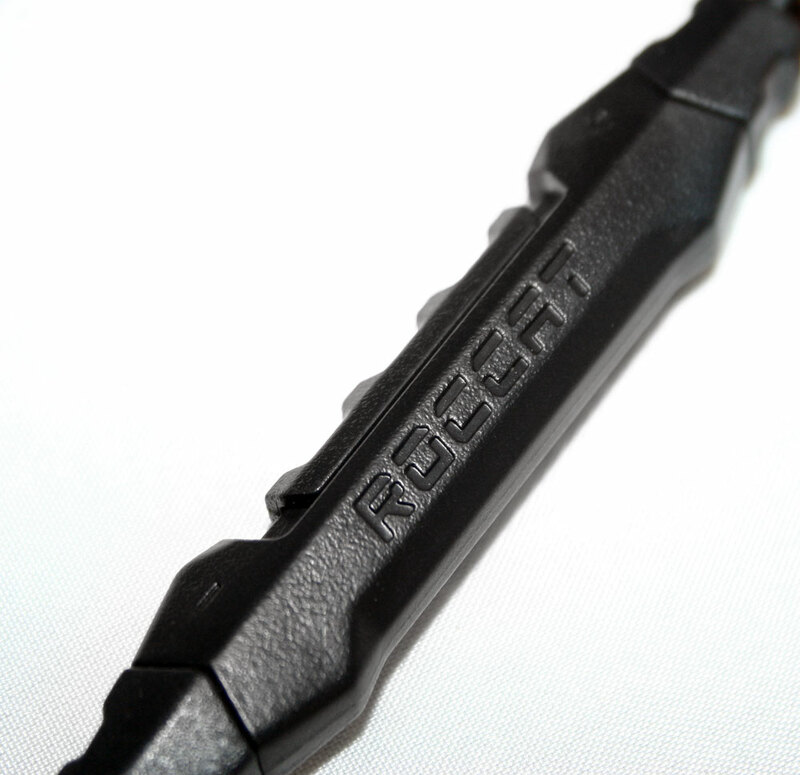 There’s a slimline volume control half way down the cabling allowing you to adjust how loud things are. Its a pretty limited slide scale that feels a bit stiff off the bat but loosens up a bit more after you’ve used it more.